Super Eagles coach, Gernot Rohr, has provided injury update on his team as they jet out to South Africa to tackle the Bafana Bafana in Johannesburg on Saturday. The German coach also predicted the outcome of the 2019 African Cup of Nations qualifying match. 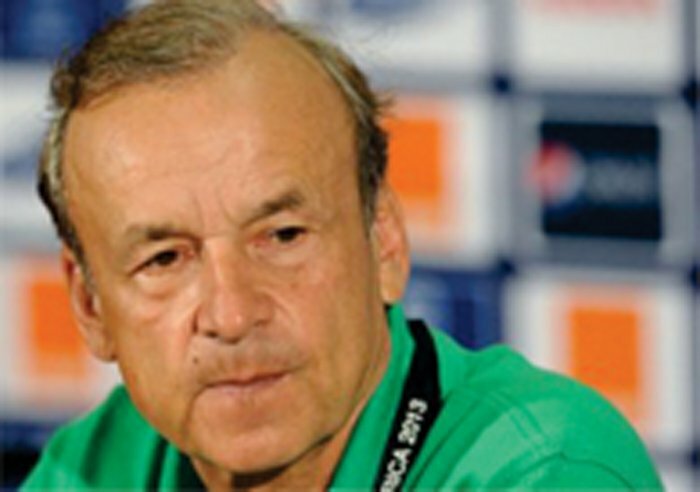 Rohr played down speculations that there are injury worries for the team ahead of the Saturdayâ€™s encounter. â€Training was good, there are no big injuries, we are ready now to go,â€ Rohr told Channels Television at the Asaba Airport. â€We are expecting a difficult match but a good result. We are targeting qualification which means we need at least a point but we go there to win the game as we do always.